You don’t have to get hitched in Vegas to enjoy a casino wedding theme. This is a lighthearted theme that allows you to celebrate with your guests in a classy way. If you want your reception to carry into the night, you can even incorporate a variety of casino games into your wedding day plans. This is a great way to lighten the mood at your reception and ensure everyone enjoys playing along with you. A casino wedding also lends itself to a variety of color combinations. You can combine black, white, cream, grey and other neutral colors with wild, vibrant colors such as red and purple. There are also many symbols that you can use to make your own decorative features for the reception hall. 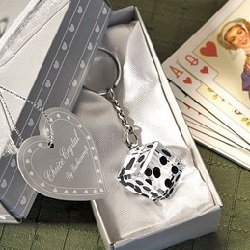 There are dice, cards, spades, and of course, who doesn’t want the queen of hearts at their wedding? 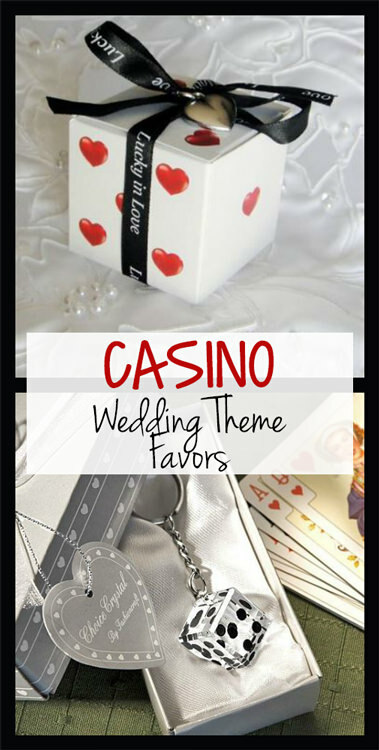 There are many casino wedding-theme favors that you can use to bring your wedding to life, and the following options are among the best options. 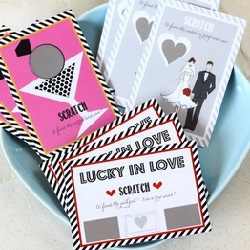 Wedding-Themed Scratch Cards - Let your guests put their luck to the test scattering scratch cards across the tables. You may also give a card out with every drink at the wedding bar. Another option is to tuck a card into wedding favor boxes along with candy or other small gifts of appreciation. You can select from a few different themes, allowing you to customize these cards to your wedding perfectly. 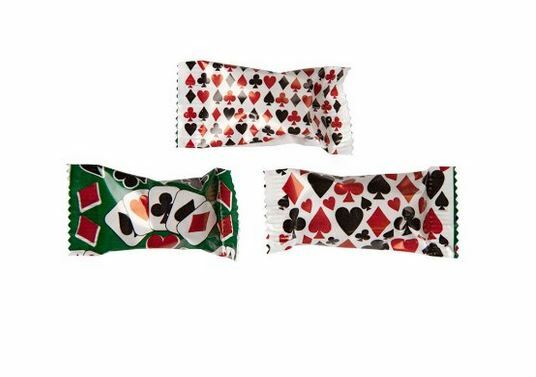 Card-Themed Wrapped Mints: These mints are individually wrapped, so you can put them in favor boxes or allow your guests to load them up and take them home to enjoy after the wedding. 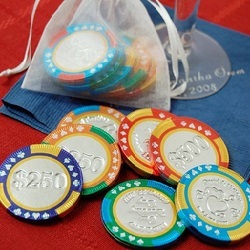 Personalized Chocolate Poker Chips -Some casino-themed wedding favors are strictly for the adults, but you need something that even the littlest guests can enjoy. Most people love chocolate, so why not scatter chocolate poker chips around the tables or tuck them into your favorite casino favor boxes? These chocolate chips are customizable, so you can give every guest something special to remember your special day if they take the chocolates home. Crystal Dice Keychains - This is a functional wedding favor that your guests will enjoy long after the celebration is over. Each keychain comes in its own box, so you can decide where, when and how to hand them out. You may want to save these keychains as exclusive favors for select guests if the price is too far out of your budget. 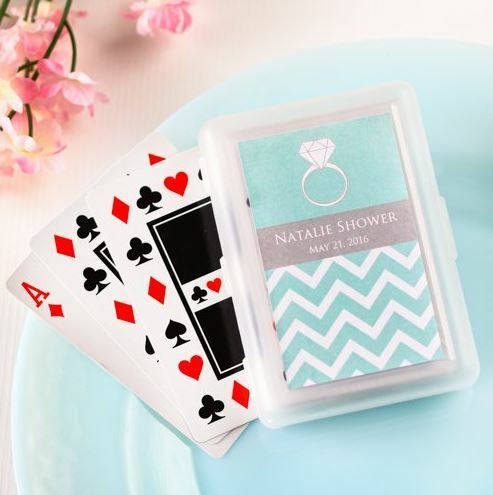 Personalized Bridal Playing Cards: You decide what the labels say on these cards, and you get to send your guests off to try their luck on another day. 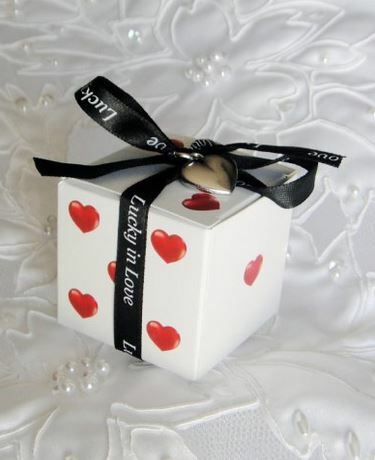 Lucky in Love Dice Favor Boxes: These beautiful heart boxes come with imprinted ribbon and delicate heart charms. 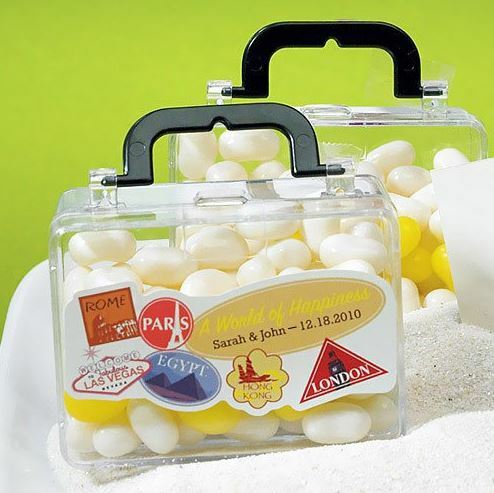 Mini Travel Suitcase Favors: Fill each small suitcase with the treat of your choice, sending your guests off for a wonderful flight home. 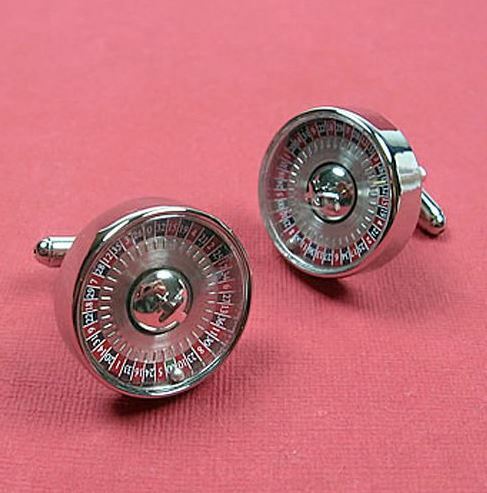 Roulette Wheel Cuff Links: This isn't a cheap wedding favor idea, but it is something special for those guests who deserve a heartfelt note of appreciation.